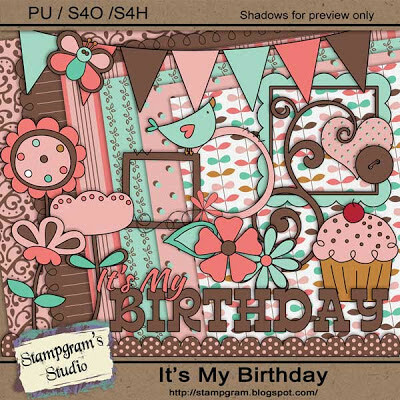 Stampgram's Studio: It's My BIRTHDAY! Really, it is! I am now officially old...so if you put your brain to it you can probably figure out my age but I am not telling. tee hee. 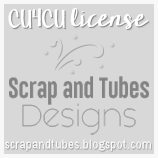 Image is linked - just click to go to the download. Happy Birthday and thanks for the Freebie... so nice of you to give to us on your birthday. Thanks for the freebie - love the color scheme you chose. Thanks, and happy birthday! I haven't made Ila's card yet, so maybe I'll get to work using this. Thank you for this lovely birthday kit! Thank you so much for the lovely kit & have a wonderful birthday! Thanks so much! I hope you had a good birthday yesterday. Mine is today. Adorable. You are very talented and I have no idea how you do this. Amazing!! Happy Birthday. Thank you for the nice freebies. Happy birthday! Thanks for the beautiful freebie. Happy Birthday. Thanks a bunch! Happy Birthday!!!! Thank you for the freebie. I think you have it a bit backwards though. You are suppose to get the presents but I really do thank you....I love mine. This is very cute! Love the colors! So sweet of you to "celebrate" your bday with us! ;) Hope your day was lovely, and thank you for the cute kit! Love the kit! Great colors. Thanks! Hope you had a fabulous birthday! Very, very cute! THX so much! Three years and two months later ... Happy Birthday :D And thanks a lot for this beautiful kit ! !